Many think that life is unfair. I prefer to say that it is often contradictory. In its dynamics it poses a constant decision making. Success is determined according to the goals we achieve. According to what you think is most important. So you can say that you succeeded or you say you got frustrated. We all hope to get out of this recessive tunnel where the STEEM / SBD price is. Many of us are storing steem as well as squirrels store hazelnuts. We hope that a stroke of luck brings that long-awaited change and thus see how our savings multiply. And it's not bad. It is a totally valid option. But we have not thought about the fact that the coin has two sides. When the balance tilts in our favor, it is because the other side is not doing very well. But not to those new users who, immediately after being created their account, are delegated a large amount of SP by their sponsors or by their creator parents. Nor do I mean those new users who have the ability to buy Steem and make Power Up their account. I refer to those users, who are mostly from underdeveloped countries, where access to foreign currency is very difficult and who have sought in cryptography a relief to their economic situation. 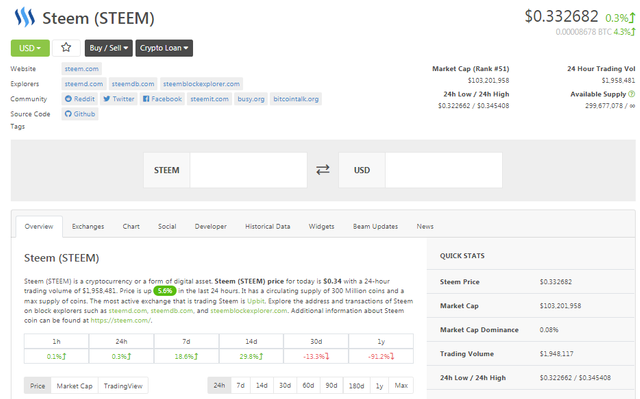 Recently I read an article stating that we were in a good time to buy steem. We do not have to be experts to know this. We should only consider certain indicator factors and we can easily notice it. First, current prices allow it. But there is also the fact that the platform is investing in improving performance (MIRA / RocksDB), reducing costs and improving the user experience in dapps and portals by simplifying coding, eliminating dependence on active keys. In the same way, the initial login process has been simplified, eliminating the code that is not necessary in the wallet (Condenser / Wallet Split). The proliferation of Dapps on the steem chain has stimulated adoption. In personal judgment, I consider it an investment window since users are encouraged to buy steem to play. 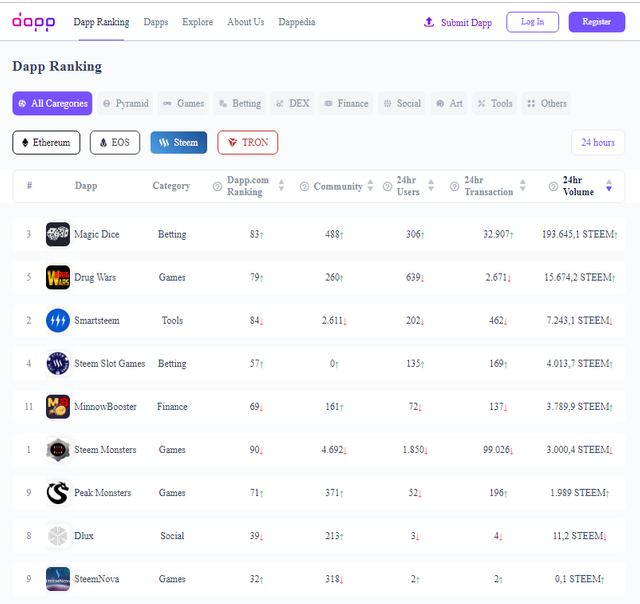 Examples of this are the Dapps "MagicDice", "SmartSteem", "DrugWar" and "SteemMonster" which have a large number of followers and are moving considerable amounts of tokens. This demonstrates the confidence that Blockchain Steem generates in investors. Therefore we can assure that the time of the fat cows will come again. 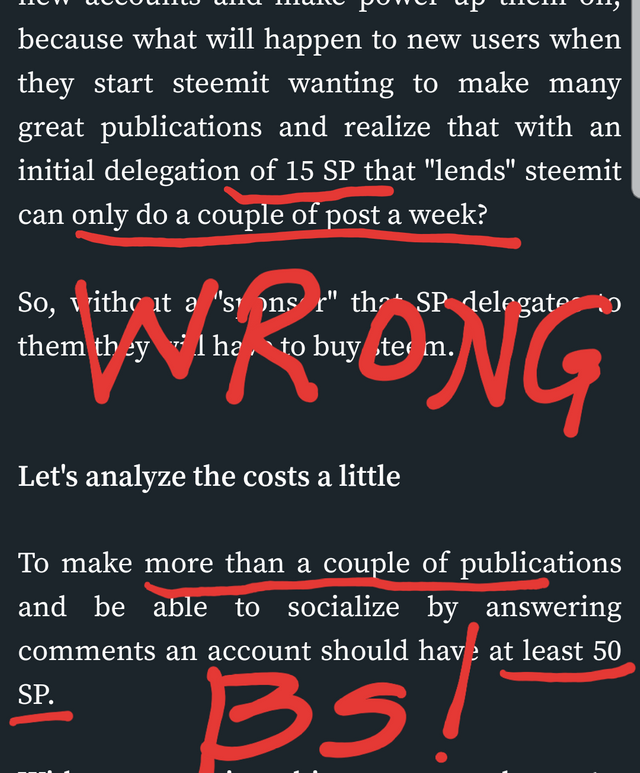 In the current times, although it is advisable to buy steem, it is also the best time to open new accounts and make power up them on, because what will happen to new users when they start steemit wanting to make many great publications and realize that with an initial delegation of 15 SP that "lends" steemit can only do a couple of post a week? So, without a "sponsor" that SP delegates to them they will have to buy steem. To make more than a couple of publications and be able to socialize by answering comments an account should have at least 50 SP. With current prices this represents about 16.5 USD. Without being ambitious, suppose a scenario where prices reach 50% of the historical maximum 1 STEEM = 4 USD. Now make power up a new account with 50 SP would cost approximately 200 USD. This amount is simply unattainable for the majority of the population of South American countries. Especially considering that those who seek to register in steemit, are looking for ways to generate an extra income of money that allows them to buy food. We would have to do a survey to have a clearer idea of the number of South Americans and Central Americans that are in steemit. But when we see the entries in writing, art and music contests, we easily notice the presence of Latin Americans. From the HF2.0 steemit implemented the Resource Credits (RC). This action has been seen and analyzed by detractors and sympathizers. While it is true that now users are more aware of the use of their resources when commenting or doing resteem, it is also true that many are living a hell in their struggle with low CR. Currently some have been able to acquire small amounts of steem, but could not do so with a price of 1 STEEM = 4USD. This would cause massive defection of users. It is necessary for Steemit to review and edit the RC calculation algorithm. A solution must be achieved for new users and stimulate adoption. Perhaps a higher initial delegation could help a lot. We all want and hope that the price of the steem goes up. But the balance is tilted and it is the weakest who are harmed. @crypto.piotr has set 3.000 STEEM bounty on this post! Bounties are a new way you can earn rewards irrespective of you Steem Power. Go here to learn how bounties work. Earn the bounty by commenting what you think the bounty creator wants to know from you. Find more bounties here and become a bounty hunter. @eturnerx has added 2.990 STEEM of bounty on this post! I have been saying that they killed the system with the RCs since they came out for exactly this reason. You are 100% correct and the fact that they can't see that just makes them blind. Most people have stopped coming and for the few that do, they leave really really fast. No one will pay to make their voice heard. A broad social platform will never develop as long as people are limited to so few comments a day. It is insulting and elitist to think that people owe you to speak their mind. I realize they did this to stop spam and they will tell themselves that they are succeeding. That's true, and if they had NO users then I guarantee them they will have NO spam. I guess you get what you deserve after all. Anyways, since you donated 0.02 steem to get your message heard, I thought I'd stop by and give you my respect since it is a very good point you are making. I hope you win some people over and I will help if I'm ever asked by people that can make a difference. Best of luck and again very good post! I realize they did this to stop spam and they will tell themselves that they are succeeding. They would be wrong in this as Asher showed in one of his post highlighting a post with in excess of 1700 comments that were spam. 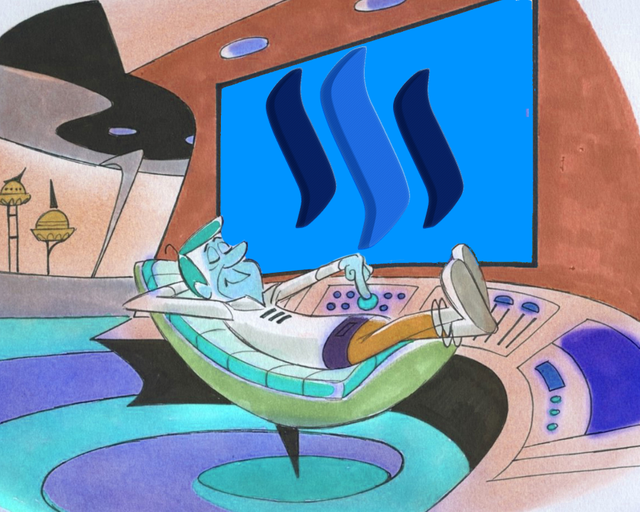 The only people allowed to spam on steemit are those that have sufficient steem power to do it. I just had a pleasure to read this old comment. Just wanted to let you know. I appreciate you taking time to share your thoughts with me. I'm happy to and thank you for taking the time to let me know your thoughts too! Hey nice to see you again @neddykelly! And yes I think you are very much right... Too bad they couldn't look out further in time and see the opportunity to do it right. Thank you for your kind comment and for accepting my invitation to Juan's publication. Thx for sharing. I'm not sure if I ever mentioned (probably I did) but I'm helping group of friends win 1st place in small contest. Is there any chance you could help out and open this link to dpoll? And drop a vote on SteemChurch. I would absolutely appreciate it. You work is going up to the steem heavens. Thank you for all you and all your friends have been doing for this community. I just can mention everyone. Hey @crypto.piotr hi mate, I always judge a user on their actions. I do feel that this is the second encounter inviting me to some unforseen place and I think it will be the last. A man can only handle so much spam. 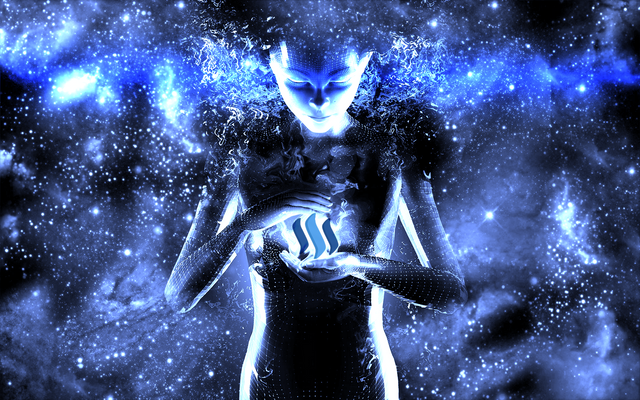 Steem shamans? That made me laugh! I think It came from a reaction more than a fruition of creating something in that topic. Unfortunately modern day society has no place for shamanism. The Tibetan book of the dead the bardot teaches of great liberation and not clinging to the body moving forward for Ascension. For the love of Pachamama. I would like to thank you for your comment. Somehow I missed it and had a pleasure to read it a seconds ago. A man can only handle so much spam. Im very sorry for that amount of spam I created. Hope no offence is taken. All is good buddy... That time has passed now..
You got my vote for that comment. I've had discussions with people, enough to understand where they are coming from and I tend to feel much the way you do. You summed up my thinking in this one paragraph, I quite literally couldn't have put it better myself. Our only hope is for a game like Steemmonsters, Drugwars or some other new game to become the flagship representative for the Steem blockchain. That's exactly why I spend so much time lately on learning these things. I think the social side is going nowhere and rudderless, so hopefully we can catch a break with a game to lite the fire! I only had a chance to read your old comment just now. I appreciate you taking time to share your thoughts with me. It's like putting a gag in each user's mouth. I greatly appreciate the acceptance that my publication has received. I am extremely surprised by so much support. Thanks from my heart. I take this opportunity to ask you a favor. Knowing these difficult times that Venezuela is going through certain communities have decided to show it´s support by delivering food throughout the territory. Also giving it´s vote of healing to Venezuelan publications in steemit. For this I am pleased to address you on behalf of my friendly communities @VOTOVZLA AND @STEEMCHURCH. Do you know them? They are currently opting for a 20k SP delegation sponsored by @theycallmedan. This delegation would allow us to help more people and in a better way. I did vote as you said, I have a lot of respect for @votovzla and like the way you write... Thank you for the great blog article and I hope you manage the situation as best as you can! Thank you very much dear friend. They are not paying 200 usd to have their voice heard. they are investing in steem, and can always cash them out. Hopefully having earned even more steem. I guess it depends on what you think Steemit is... If its an investment vehicle, then your point is valid. If its a social network, then my point is valid. I guess 2 people can look at the same platform and see it for 2 different purposes. I think some people will pay so their voice will be heard but therefore a better platform is needed. To be honest it is a chaos or mess or even a bit trashy over here. It is very hard to find (what I call) good content. So if you pay and find out after paying hoe messy or useless it is for your goals you will leave. If you have no connection with others you will so too. Paying will not stimulate to be here, neither will a free account. As long as Steem, (The Company/Blockchain), does not care about serial comment spammers with the same lines, the same gifs, the same memes, in the numbers of over 1000 comments on 1 post just to show they can do it and disrupt an individual post, then the cost of RC's will remain artificially high. If an individual thinks the price of steem will be going up, then yes now could be a good time to buy, if an individual thinks the price will continue downward then they have to decide how far it will go on the low side, and what their particular risk factor is. From a business point of view it is a very difficult thing for the company, they want to retain as much value for their product as they can. For a company piggybacking on the Steem Blockchain, they want to have as low a cost as possible, while still making a profit. (Steem Monsters/Drugwars games). Businesses like partiko/e-steem and other onboarders/interface developers also want to be able to expand, they along with steemit can look toward the advertiser segment for additional revenue. (they already have a built in advertisement of their product in each and every comment). I believe Steem (the company), is adverse to advertisers because of the fear of them trying to do like they have on other large social media and that is control the message. ex: "if you do not pull that video, we will pull our advertising support", type scenario. So to lower the cost of RC's for comments they need to try to take action against the spam accounts, but then they risk the cry of censorship from unknowing and/or bad actors using steemit front end. One way to prevent this flashback it to give everyone the right to completely block who they want from their account, and I mean fully block, that they can not vote/comment or flag their post, and likewise they would not be able to vote, flag, or comment on that person's post. Neither would see the other person post. (Length of time would be set for 1 year with no method to undo it until that year is up). That solution however would not really work. New accounts would just be opened, and there would be other ways and means around it. So the high cost of RC's for comments and post will likely always be there, will likely go up, and like any other tax that has ever been implemented will not go away, even if there is a revolution. Please help us engage with you by properly distinguishing between Steem (the blockchain) and Steemit, Inc. (the company). Also, every spammer would block steemcleaners. ... One way to prevent this flashback it to give everyone the right to completely block who they want from their account, and I mean fully block, that they can not vote/comment or flag their post, and likewise they would not be able to vote, flag, or comment on that person's post. Neither would see the other person post. I like this idea. Like it VERY MUCH. That is a great idea and would stop the problem! I just had a pleasure to read this old comment. Just wanted to let you know. I appreciate you taking time to share your thoughts with us. Seriously respect for your amazing comment. If what you want is to fight against spamming, then keeping prices low is the worst strategy. What nonsense your are all talking here. ? What are you smoking ??? Look at me , at my account. I have 0 SP. YEP, that's right , Zero. Yet I can still write this comment. And you can read this , right? How on earth I can write this comment ? I just wonder why you are missleading people, stating wrong things. "a couple posts per week " ??? And this mean 6-7 posts/comments PER DAY. Yes, 15SP is not huge, but it just feeds the basic needs right. 20-25 SP would be enough for super active, experienced newbie. And this is half of your stated minimum of 50. And half of the money named. This is really a fascinating issue. And it WILL define our blockchain in the future. What is really going to blow your mind is that there is not enough steem, nor will there be for MANY YEARS for each user of reddit to have 1. That's right, there's not enough steem for everybody to have one! (Luckily it's divisible to the eighth digit, just like bitcoin). The real answer to your question about RC's lies in something I read from blocktrades during the development and discussion surrounding RocksDB. The cost of any action, in resource credits, is relative. We can make these things as cheap as we want by increasing and expanding infrastructure. Future users , should they find themselves on a populous blockchain of millions of users, will not need nearly as much steem to post a comment as we do today. Secondly, there are plenty of RC's to go around, currently most of it goes unused. If new users want to use steem blockchain as a social media site, they will need patronage. I delegate to new users, @crypto.piotr does, hundreds of other users do, and none of us come close to the amount of new user delegations steemit inc does. Its what we do because its necessary to treat steem as a social media site. Here's the thing though, steem is not a social media blockchain. It just happens to have one built on top of it. Going forward, each dapp, each use case of steem will have to deal with RC's a little differently, depending on their exact case. Thirdly, and finally, in the larger scheme of things, it is not even clear that everyone needs their own account. The @ifc competition allows entry by email, @steemnova pays out in steem but doesn't require a steem account, and other solutions are being developed (or at least I'm working on one) that allows everyday queryers to ask questions through a centralized site, which will post vetted questions to the steem blockchain with a single account. Only expert answerers will need accounts to get paid, but later even they will be able to submit their answers 'offsite' without an account. In conclusion, there is an uncomfortability around RC's that have to do with them being very different from how we are used to interacting with the internet. @crypto.piotr's example of tyson.com clearly demonstrates this. 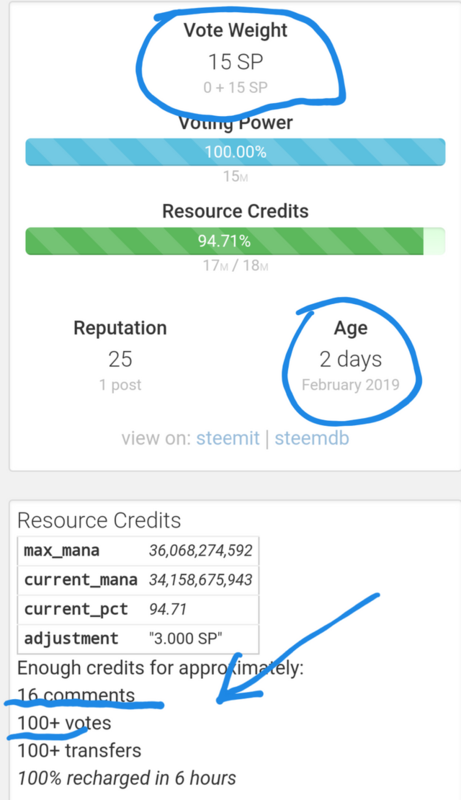 But this is far from a problem, its actually a feature, a misunderstood feature of the steem chain, that will require some creative thinking as we go forward. Most of the apocalyptic fears involving scaling are unfounded, and will solve themselves with hardware upgrades, some of which already in the works. Interesting thoughts.. When I made our game open to email I was trying to get players from outside of steem to play, though with RC issue it could be a way for newer steem users with low RC to play and not burn up what they have for posting. Hmm.. Never thought of that before, but that's a good angle to consider and be aware of in the future! I think one of the important things you brought up here @ecoinstant is that this entire system is more adjustable and flexible than most people believe. Part of what you said here also brings to mind something else I keep thinking about: "Investing" in Steem — aka "holding some Steem coins"* — always seems to be automatically associated with being ACTIVE in one of the Steem front ends. I think people put a lot of misplaced emphasis on this notion that investing is synonymous with creating income, but the vast majority of conventional investing actually consists of someone buying an asset and simply holding it passively for five years, in expectation of capital appreciation. And so, not everyone needs their own account, AND people simply holding Steem for the long term effectively help drive the price up by reducing active circulating supply. Hello @crypto.piotr! I thank you for reaching out, no matter how long it takes, its great to hear back from you! I appreciate your comments and your memos, I always try to take some time to visit the different interesting topics you have for me, and offer what I can from my own perspective. Now, I have a favor to ask of you! We are finally beginning the public part of our journey with @steemlogs web app (available now on steemlogs.info), and have just released this announcement post. There is still a lot of work to do, but we are on a roll now, and I would appreciate any comments you could offer. If you think it is worthy to recommend to your network, I would happily cover the cost of any memos. Please let me know your thoughts either way! I always try to take some time to visit the different interesting topics you have for me, and offer what I can from my own perspective. That's very kind of you. Always appreciate your support. Now, I have a favor to ask of you! If you think it is worthy to recommend to your network, I would happily cover the cost of any memos. The only problem I see is the fact that I've send memos lately (you received it too) saying that it was my last memo this month. So I really cannot be much of help for next few days. Perhaps I could help you with next publication? Maybe you could promote @steemlogs on your own account (@ecoinstant) and I would bring traffic to this publication? What do you think? ps. would you happen to have telegram? getting in touch via telegram could make our communication more efficient (I tried discord but I found it so very messy and I seriously hate that platform). Dear @ecoinstant thanks for your valuable comment. The @ifc competition allows entry by email, @steemnova pays out in steem but doesn't require a steem account. I am not a supporter of this type of "hybrid" applications. They want to make a new proposal but develop it on an existing blockchain. They even propose their own tokens even though they can adopt an STM. It seems to me that they somehow weaken steem, or at least they do not contribute to its strengthening. Check out @ifc, there is nothing hybrid about it. Your point, perhaps, referring to dlive, is understood, but if your definition of what steem is is too strict that too weakens the value of steem. i agree with you dear friend. The ifc isn't really an application, it's more of a contest and community. Some day it'd be cool to turn it into an application. However the intent of opening it up to non steem users was partly to encourage more people to sign up for steem. And if they are unwilling to make an account it still brings more attention to steem to people who are unfamiliar with it because this is our homebase and we mention it and talk about it often. Most users who have accumulated Steem before HF20 won't realize how hard it is to start in Steemit nowadays. On the other hand, new users of Steemit should know it's an investment platform and investing in Steemit could actually give you a fruitful return in the long term. If we have friends and people whom we want to invite here, we must be able to share to them these facts about Steemit and it's up to us how we support their onboarding. I, for one, does not want the way it was before that people thought it was all for free, you need to be realistic and know that you need to invest and that helps the ecosystem as a whole. I do not agree with you that those who start new have a harder time. I started before HF20 and after it I had a very hard time. I could post every 24hrs once or reply once or twice and nowhere I could find back the reason why. Big chance that is the reason why so many old Steemians gave up on it. I still do not see any benefit of it. Spam, scammers and bad content is still there. If you pay you are in, are popular, if you write and respond... less chance. I only had a chance to read your old comment just now. I appreciate you taking time to share your thoughts with us. I consider that the HF20 caused real "damage" to the platform. this onboarding problem is not going unnoticed. yes it is a problem. yes something needs to be done. some say they dont care about the user thats not willing to pay for their account, the problem I have with that is we dont have enought adaption yet to take that attitude. Admirable work what you do, woman! Thank you very much, dear @paulag. It's not that easy as it might sound. Nobody has enough resources to hand out 50SP to every new user. At some point I've created a Proof of Engagement based Resource Credits boost: Power Up for hyperactive newbies! which added some gamification. It would be awesome to implement it as a part of most popular front-ends (you are active? perform some tasks to get short-term boost in your RC). One of the ideas was to separate delegations of Resource Credits from Steem Power delegation, but eventually there were other priorities on the table. Hey @gtg, I have a question for you to ponder. Why don't they just make the "price" one pays to make comments lower so the RC issue ceases to be a problem? I'm sure they can price a comment however they want, so why set it so high that it deters someone ever getting started? If you want to milk people for other things (RC-usage wise), then it could make up for it. But to create a system where people can't make more than a handful of comments a day seems ludicrous for a social network platform. Its actually an anti-social action that is repelling newbies from ever taking hold. That's not easy task to solve either. Lower cost for comments means more risk to spam the blockchain. At the same time I fully agree that it can be a huge repelling factor. I'm a huge fan of gamification and I think that proper handling it on UI/UX side of things would help a lot. While playing Diablo, ages ago, nobody was repelled by the fact that your hero couldn't do much at the beginning and had to rest, and be more careful with every step. Currently the only people that can spam the blockchain are those with high resources credits. I would rather we went back to the Nice Post two word spam comments, that everyone could make, than the 100+ Meme spams on one post, which only the large SP holders can make, most of which are disgusting. First thanks for the reply... and I'm with @bashadow on his comment to this, I had no big issues with the 2 word spam in relation to the spam that comes from those with RCs to burn. I think while it was a noble attempt to reduce spam, they went way too far and killed the patient. Without new users, this will be a very limited social site. Which is ok if that is what they want I guess. Again, thanks for the reply! Seriously I enjoy your little discussion you're having here. Your previous post 'Proof of Engagement based Resource Credits boost' definitely brought my attention. Anyway thx for sharing your opinion and I wanted to ask you for small favor. Could you help me and Juan? Also would you be kind to support @steemchurch and help them win 20k delegation? Perhaps you could ask around your friends if they wouldn't mind support our small initiative. I don't know enough about it to make informed decision so I would rather pass on it. Yes, I've already heard about it, but as mentioned before, I would rather let others decide. By the way, I'm not a fan of delegations as ways of supporting communities as that can easily lead to degradation of quality. (IMHO better way is to empower manual curation efforts, not by direct delegations, but using wise instead (or similar projects)). I congratulate you and I admire you for your initiative in helping new users. You are big! As for the contest, I don't know enough about it to make informed decision so I would rather pass on it. I've been here since August 2016 and I would just like more clarity on how the payouts work. There are some tools I used to use that I loved but many are broken right now. There wasn't really much communication going on about how Steve it worked but I've spent most of my time here posting about that. With all the dapps being built right now steemit 3.0 is going to be something great, if users power up and give. If people are just draining the rewards pool and not reinvesting it is a disservice to the blockchain. I would love to see more information about how payouts are structured currently with the hard Fork, apparently you need to wait half an hour before uploading a post, and education on how Keys work to authorize steemconnect and other safe ways to use steam it without risking your keys. I am preparing to launch my own steam engine token I would like your opinion on whether this side chain is a token solution or how is that smart media token thing coming along? I am thankful for your thoughts on resource credits, and I think of that one to $4 is a very reasonable price for steem, if people knew the value of what we are working on here it could easily be a $30 coin. I for one do not mind $18 steam dollars or $10 Steam. Thank you very much for commenting on my post. You have just raised a series of very important points. I am also very curious to know how the payments are structured. When we make a publication we can see, for example, that we accumulate $ 10 in reward. But when the time comes to receive the payment, then we get other amounts. I am aware that it is also contributed to the SP but Steemit changes the distribution very frequently. 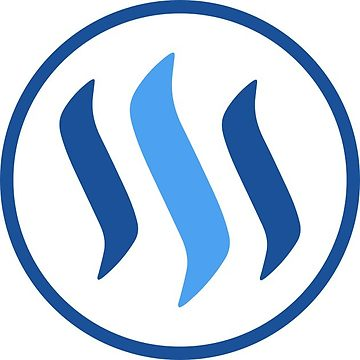 Sometimes we receive the whole in SBD, other times the payment is shared between SBD and STEEM. I really know where the parameters of this policy are published. I have the idea to investigate that topic and expose it in a next post. Thanks for coming appreciated @darkflame. When I made my account, I had no one delegate SP to me other than the default from making a SteemIt account. It took effort and time to earn the Steem and SP I have now. Writing for other SteemIt blogs, and putting thoughtful comments on @chbartist 's posts helped me earn Steem and SP. Free money websites also helped me grow my account. Recently, the DrugWars game, Steemeum, and Actifit are other ways I use to grow my SteemIt. I highly encourage self-upvoting to grow your account, even if you are a whale! I am against bots that flag you for self-upvoting. We should have the right to be selfish with our SP, or generous with our SP! If you start downvoting me or flagging me for this controversial opinion, you are a bully who wants to restrict my earnings and ability to share my thoughts to others. I think earning resource credits should be level based. The higher level the more difficult it is to obtain more resource credits. The difficulty would correlate with the amount of SP a user has as in it would take more SP to receive a certain amount of resource credits the higher the level, and less SP the lower the level of the user. SteemIt users with low resource credits or SP should get more options to earn SP without paying out of pocket. I personally believe whales should give chances to newbies like you to grow first instead of self-upvote. I have heard many stories of it who abused the reward pool for their own lifestyle as priority and that is why the flag wars started. This platform is about community and creativity. I am sure that when a whale gives himself / herself a 20-80 set (20% for self upvote and 80% to help reward others in the great community to help everyone benefit) there would not have a flag war at the first place. I personally for one do not favour 100% selfishness. However I agree with your RC ideas. The higher the whales are the harder for them to earn more RC or the faster they will deplete their RC , especially for self-upvotes. Agree with the self-voting thing. Steem is like a bank account with interest on your savings, only with Steem you are able to do interesting new things with that interest and if you're inactive socially you don't receive your interest. When we fund an account we receive a certain amount of votes in relation to how much of the network we bought. We paid for those votes, we are entitled to them, regardless how we choose to use them. This is why I am so against flagging. You paid for your votes and others have the power to mute your votes that you paid to have. This is terrible. Interest rates in banks are all the same. You are referring more to share market. Unfortunately most whales tend to wreck the market with huge withdrawals. I believe from most of the comments here, they are mostly money driven and ROI instead of community platform view for Steemit. This idea should be passed on by the engineers of @steem. I absolutely agree with this @juanmolina. Another reason behind this is that, not every newbie finds it very practical to invest in steemit as they are not assured of the income returns and are still finding their way in the community. However, it is also very practical for steemit to limit the RC of newbies but, not that limited that they cannot perform any functions at all. My experience was that I need to wait 2 whole days before I can post my next content because it takes that long for me to recharge. Without sponsors- which is hard to get and come by because of limited exposures, newbies gets "drowned", frustrated and, will finally decide to leave. This is the most worrying thing. We do not want steemit to become a ghost town. unfortunately, you are too late @juanmolina. I casted my vote a few days ago and, I voted for @steemitbloggers- a content creator group. However, as for your other advocates, I do want you to know that I am very much interested to support you in any way that I can. We all know that only whales are making money on Steem. And they are earning from the posts of minnows and new user sign ups. Steemit is an oligarchy. I am a dolphin (and was a redfish and minnow), and I make and have made, money on Steem. Ergo, not only whales make money on Steem. In fact the most money I ever made in my entire life was while I was a minnow I won @papa-pepper's Daily Selfie Contest. @Papa-Pepper is a dolphin level account. Let me guess, you were a minnow when Steem was at $6. I'm interested where you are going with this, so I'll bite. I became a minnow with steem around $1.75 and became a dolphin with steem at 27 cents. Thus I was a minnow when steem peaked, though I didn't get a chance to sell any at that time. Everyone who says only whales make money here demonstrate they have no faith on the future of their holdings. 100 Steem valued at .30 US each doesn't feel like much (30.00). If 5-10 years from now it is worth 100.00 each that 30.00 valuation is now 10,000.00 US. That's only 100 Steem. Start adding zeros to that and it doesn't take much imagination to see what can be. The potential for it is good, and I would ask how much Eth/Bitcoin/whatever alt is out there to get on a daily basis for posting, commenting and upvoting to those who complain on how quickly they can obtain it here. But, you can't get anyone to see something that they refuse to see. I was also curious what was his point? @ond? Would you mind sharing? I mean it's impossible for the average user to earn Steem. No matter how much you try, how often you post or what kind of posts you write. The only people earning Steem are the Top 100. They have thousands of followers (many of them dead accounts of course) and keep getting new followers because when a new user is exposed to the same posts everyday promoted by these whales and see these people have thousands of followers, they will follow too. And it's shocking to me that the top 100 users have more power than all the others combined. Just take a look at the statistics. And many of them don't care about the network, just about their money. And they need new users in order to keep that money and not lose value. There are of course some initiatives trying to help minnows and promote new users. But most of them are very expensive for the average new user. So we see dolphins and whales again using these services and bots. All the opinions that can be found on the internet about blockchain, coincide in their democratic and transparent characteristic. If you are so unhappy with the politics of the platform, maybe this is not the best scenario for you. But I love your frankness. People like you are necessary in life. I´ll follow you starting now. Hi, great post and just to comment on @ond s comment. I think they generalised slightly on the 'only whales make money' comment. I'd suggest that only people with money make money here and without investment and support from big accounts, the new accounts go nowhere, get frustrated and quit. Even more so when they see the figures the top 'earners' on Steem are removing from the reward pool. Steemit is in no way based upon quality of work, it is in most cases about playing a game which is biased towards intelligence and wealth. This also then brings in to play bias based on someones geographical location. As you pointed out in your original and excellent post, the people who need the extra income Steem can bring into their lives are often at the most disadvantaged in their starting position. Steemit is barely different from off chain life. It is controlled by wealth. The more wealth someone has, the more they need the minnows to survive and work to keep the platform running. The analogy I have made before is that justvthe same as in real life whales feed on plankton. No plankton, no whales which is why the carrot of tiny reward and the hope to make moremone day isnwhatbkeeps the minnows here and new members from joining but in 99% of cases it is nothing more than carrot and stick. As for the RC question. Its easily remedied but won't be. Sp is delegated, this is a loan and if 50SP were delegated to new accounts on a strict 90day time limit or when theybhave made 50SP whichever comes first. There shoukd be no powerdown or withdrawals until it is paid back and this would give new accounts the time to work hard, find their way around and grow. Giving a 15sp delegation with no time limit is nonsense and does nothing except dishesrten new users and ends up stuck in an unused account when the new user gives up. A definite time limit loan always goes back to the lender and so gets recirculated. How much delegsted SP is stuck for ever in hardly used accounts? Millions no doubt. This solution is simple, effective and will sort out the serously committed new members from the joiners who come just to mess around. Again, great post and thanks @crypto.piotr for bringing a great new writer to my attention. The steemit delegations are removed on a per fraction basis as a user powers up. Earn 2 steem? You now have a 13 sp delegation. My brother's account also showed me that they are removed for inactivity and 'snap back' when that person becomes active again. Much of what you say about delegation is based on assumptions that my experience are not true. I monitor the users to which I delegate, though not as efficiently as steemit inc. Your point that is should be 50 and not 15 is interesting, and in my opinion they should use 15 to reach out and get 50. Check out @gtg's comment here. Money talks, but in some senses steem is more democratic than anyplace off chain. Every SP counts. Its important to understand what steem is before we complain, that it is not something else. Did you perhaps consider using "enter" from time to time? To separate blocks of texts? It would make it much easier to read. Thanks for those great ideas. It is impressive to see how the mentality of everyone around this issue has been activated. In the comments I received nomenos of 10 great ideas like yours that could solve the problem of novice RCs. I would like to thank you for accepting my invtation to Juan's post and for dropping by. Appreciate your reply. Knowing these difficult times that Venezuela is going through certain communities have decided to show their delivery of food throughout the territory. Also giving his vote of healing to Venezuelan publications in steemit. We are currently opting for a 20k SP delegation sponsored by @theycallmedan. This delegation would allow us to help more people and in a better way. RC limits are an issue, though its possible to do with what we're initially allocated. With that said, I think the delegation, by Steemit, works as a way to curb the underprivileged behavior on the platform. Growing is slow, but it forces people to figure out if they really want to do this. The problem I see is that crypto currency is being viewed as an investment tool more than a form of currency. Not everyone wants to invest, but we all need to earn. Like buying and selling money, earning a gain with crypto currency is slow and marginal. Now, if people were earning more Steem, we could perform more transactions and make this the dominant crypto economy. More transactions mean better economy, which means a higher value coin. Note, as Steem is competing with real economies, since it's being valued against the dollar, it's price will only come to reflect that fact, so don't hold your breath waiting for the price to get back to $4 anytime soon. @crypto.piotr you got it on Juan's publication. Thanks for the invite. Congrats on a successful conversation. I voted SteemChurch and upvoted this post to spread the love. Wishing you and all the best. Well said. Even at this current price, there are those finding it difficult to purchase steem and power up. Have you had a problem with Resource Credits? Umm, though I have obawrved that my steem power has dropped, I cant really say cause I rarely comment and upvote these days. It is a dramatic situation actually. Wow. No tenia ni idea sobre el tema. Si había visto que se consumía muy rapido los RC cuando uno publicaba y comentaba, pero no lo había visto desde el punto de vista de los nuevos usuarios. Aunque supongo que ya debe haber mas de un millón de usuarios en Steemit? Y este post ha hecho bastante eco y se ve en la cantidad de comentarios que ha acarreado. Excelente post. Supongo que si se hace bastante presión, mejoraran las cosas con respecto al uso de los RC. Wow. I had no idea about the subject. If I had seen that the RC was consumed very quickly when one published and commented, but I had not seen it from the point of view of the new users. Although I suppose there must already be more than one million users in Steemit? I suppose that if there is enough pressure, things will improve with respect to the use of RC. Lo hice hace raaato. Velo tu mismo en, si es que puedes, esa pagina se pone super leeenta. O es acaso que hay que votar cada semana? Just one vote per user dear friend. Yea, it's a whole mess this RC system. It doesn't affect me but it does to newcommers that have no money to invest and thats not fair. In this new centralized change on our decentralized platform shouldn't it be so difficult to deal with spammers, isn't it? I'm so confused these days on what is really going on over the platform despite the profuse posts out there... this "foundation" path seems quite tedious and I'm not so sure where it's going to lead us. One thing is clear: we need to open community to newcommers paying "0$" or we will fail and of course they must be able to interact as much as they want with others. I understand that voting shouldn't be limited in anyway appart from the reward it "gives". A vote is a "like" in Facebook and other social networks, is another interaction interface for users. Maybe with so many technical aspects around I'm talking nuts, but I only try and expose wat a normal user feels over a social platform. Thanks so much for taking the time to ask for feedback and giving us a medited opinion on Steem. It was a pleasure to put my bit, just voted, my best wishes for the team of SteemChurch. Dear @juanmolina, i agree with @crypto.piotr that now Steemit is really unfair with new users and i try to propose some way to delegate or recharging RC with advertise, but all words are going in the air, Steemit is like this and stop! Would you buy 50 STEEM knowing that it will cost you 200 usd? My answer is no. I have put in maybe $20 usd up until now. All the funds in my wallet are all from my work. I think it is still possible for those of us that don't have the funds to put in of our own. You have to know when the best time to post is and be consistent. With the change to RC change it changes how you would go about starting. You would have to make sure you do 1 post a week , no matter what and it would have to be top notch everytime. 2 would be ideal. Yes engagement is key, but if it is going to prevent you from posting I would keep it low key as simple. Thank you. Joining in contests that offer SBI as winnings. Most of the time you just have to do a post, which gives you content to post so you don't have to worry about that. Joining groups like @pifc and @helpie which hold contests for SBI and also have post promotion boards. It works though. You just HAVE to work to succeed. It's all in your goals and your mindset. I have a tiny delegation just to help with one of the groups I am in. Meanwhile I see others with over 2k in delegations and have only been on the platform for a month or so. I would recommend a following a small curation trail to work on getting curation payouts. Don't vote for someone until after the 12 minute mark. There are a few things as far as this goes that needs some more at length explanation. You need to be signed up for @dustbunny or @dustsweeper if you're going to try this. I was making about 1 Steem a week when @dustsweeper started so to put that 1 Steem it was hard. When you're a smaller redfish, it lasts a while. Don't get me wrong. I have been wishing I had the money over the past 2 months and now to get invested because it is the time to buy. I don't think the games will have any impact as far as pricing goes, it will impact you personally if you decide to try them out. Just my 2 cents though. I have never expected anyone to give me anything. Dear @tryskele. Thanks for comment. That mentality that you propose will not help you grow with speed. Remember that we are in community, therefore the option is to group, associate. We must join efforts. Totally respect your point of view. It generates a lot of pride to be able to affirm that what is in my wallet is the product of my publications. But if you want your account to acquire value, you have to do much more. Steemit is just an access gate to the blockchain. Everyone treats steemit.com as if it were the blockchain itself. Steemit was built because noone else was developing gates. We may now have busy.org, steempeaks and whatnot, but the only real difference is their design interface. We have nothing that is content-specific or that engages with steemians in any different way. Well, we've got stuff like steemhunt, but does anyone really read it? I don't think any non-steemians do. Actually, we do have something. @ongame's http://www.ongame.io/ is a brand new way everyone can interact with content in the blockchain. I think their website is kind of restrictive in what we can post, but that only has to be further developed. What I'm saying is... People think too much of steemit.com. It was only meant of an example use case. Let's say ongame.io provided a website more fleshed out, with guest commenting and ad revenue, providing free steem accounts (created from RC) to anyone who signed up through them, while at the same time, being able to provide steem power delegations and upvotes thanks to ad revenue. There are lots of unexplored business models that only the steem blockchain can support currently. People just haven't though about it. I can't do anything myself since I don't have the money or sponsorship, so I'm left with my only option: rant. And you rant so well! I think you are on the right track as well. Do you know how many RC you need to create just 1 account? As a new dolphin, I'm about one-tenth of the way to being able to create an extra account. Who has that much RC that they could create thousands of accounts for others? It would likely be more efficient just to pay for new accounts with Steem. Who said anything about thousands of accounts? That has nothing to do with anything I said - or the post itself. Oh, and It takes around 7k sp to create an account. You're clearly way above one-tenth. This is where I understood the thousands of accounts from. Super! I'm closer to being able to make an account than I thought! Something like what @engrave does is also a very good example. I wish it had easy ad implementation options, though. We are going to introduce it soon. Stay tuned. It doesn't have to be thousands. I.e. A project can offer "free content hosting" using ad revenue to sustain it. I.e. dtube if it used ads. Still, I agree that account creation should be cheap, dead cheap. In fact, if we made account creation super cheap but made it so every account created required 1 SP powered up to function and that 1 SP can never be powered down, we'd be getting nice deflation and defense against random bot accounts. IMO that sounds even more expensive. Projects can offer trial accounts with 15 SP delegated for a month or so, which costs a lot less than 1 steem. What happens with that account's SP/ownership/etc depends on the terms between project and end user. The problem with that is that 15 SP will not be enough for the person to earn. The only way is through generosity from a whale, so unless that delegation remains permanent until all 15 SP is replaced with rewards, you'll just end up with lots of abandoned accounts. No point if there are no content consumers. We're basically authors writing to other authors. 15-30 SP is more than enough to get readers started. If a project is well suited for authors, the terms between project and end users need to change. You know, adapt to each project's circumstances. You're not being flexible enough, while the steem blockchain is incredibly flexible. Not to mention you can integrate elements outside of the blockchain to a project. Actually that is my point, people are looking at the reward pool wrong, and what Steem offers to content producers. The rewards are not for content producers, they are for content producers to gift to their readers by upvoting comments, thus encouraging people to keep visiting their blog and engaging. If you think about Steem objectively, and really break down what Steem effectively does well, you realize its all about empowering (but not necessarily monetizing) content producers. In a direct way, it seems like the obvious design is for content consumers to upvote quality content. The problem with that is inadequate incentives to buy a ton of STEEM, power it up and upvote people. However, when you take a look at everything Steem offers to professional content producers, you realize that there are big incentives for these content producers to power up their SP a lot. Improved SEO, a reward system for their audiences and delegation-based subscriptions for VIP audiences. A community of moms will never see a reason to take powering up their SP seriously. On the other hand, Wordpress-based bloggers that spend money monthly on maintaining hosting plans and domains are much more likely to take powering up SP seriously. A lot of us like the idea of a meritocracy where we can just work and earn, but when we really look at it, Steem was designed for people willing to put some money in to power up. All the blockchain projects are doing this, they are dividing the internet between the internet off-chain, that is free, and the internet on-chain that is not. You're probably not going to like hearing this, but we're watching a revolution, and its not an exciting one but a scary one. The internet is turning into a true two cities system, where blockchain web will be the place of the affluent and the old web will be for the poor. It will likely spread into real life as well, that is why it is important to keep aware of what is happening and make sure you're on the right side of the fence. Church? No, thanks. If you have anyone else you want me to nominate, tell me and I'll consider it. Hello @juanmolina, your analysis is interesting. Latin American users have difficulties to save steem. What little we got we used to buy food. Thank you for interceding for us. Greetings from Venezuela. Thank you for your very informative article. Your ideas are very good. I wonder if good content pays off. For good content, you have to think about a long time. If people can only rate the content for 7 days. For example, with youtube, good content can evolve over time. That with the RC value is right. You can't make good comments with a low RC. Hola @huanmolina, efectivamente , los latinos estamos en la plataforma por necesidad de lograr un ingreso adicional para cubrir algunos gastos básicos. Necesitamos más apoyo en Venezuela por esta crisis humana que nos golpea el estómago. Gracias.